The world has many doors to new opportunities. Key International Shipping delivers customized International Shipping Services for logistics transactions in the global market. No matter the size, destination or commodity, your order is treated with care and efficiency at the lowest cost. Established in 1998, Key International Shipping is a Non-Vessel Operating Common Carrier (NVOCC) fully compliant with Federal Maritime Commission requirements as a bonded Ocean Transport Intermediary (OTI). 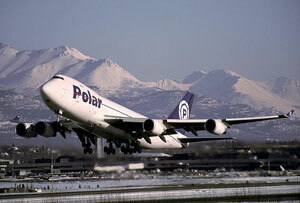 We professionally process shipments from all over the USA to worldwide locations by air, truck or ocean. We also handle import shipments and Customs clearances into the USA. Our key to success has been a close relationship with our customers turning their shipping challenges into successful international experiences. Our expert care, which has a very good reputation in the market, together with our experience, low rates and excellent customer service keeps our customers coming back and bringing their referrals. Let us help you with your next Shipment! Call 1-800-248-3880 for a FREE international Shipping quote.